Shadowing is the direct, real-time observation of patients/ families, customers, or products as they move through an experience in any virtually any setting (doctor’s office, retail store, airport, food delivery system, pharmacy etc.). 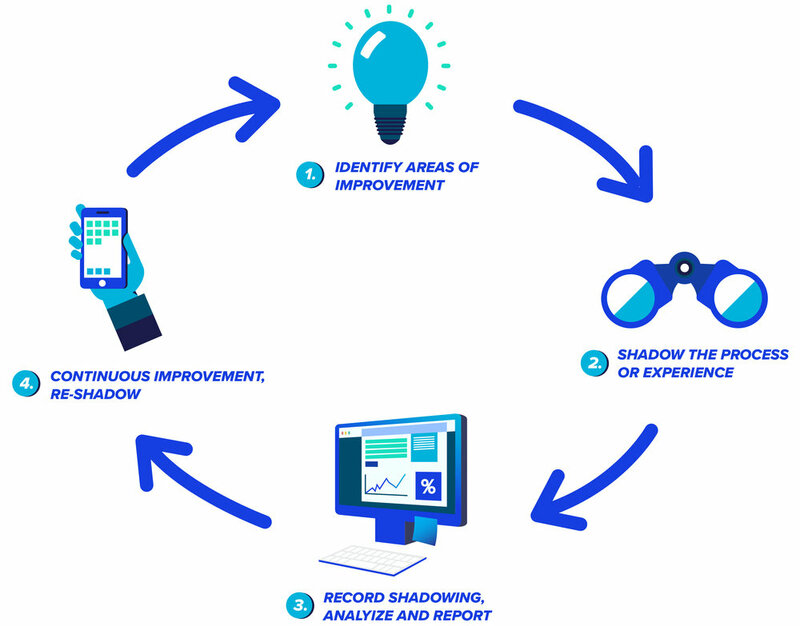 Shadowing is the process by which we capture and document objective and subjective details of the way patients and families, customers or products move through and view their experiences. goShadow® will change the way you do business. Improve Outcomes, Experiences & Care while going about your daily routine. Use the following tools to help you shadow whenever or wherever! To learn more about Shadowing and its value within the Patient Centered Value System visit discoverdr.d.com! Or purchase The Patient Centered Value System Transforming Healthcare through Co-Design to discover PCVS and Shadowing! “goShadow® is a simple three-step approach for engaging patients and families as full partners in re-designing care delivery, helping organizations take it from the ‘what is’ to the ‘what it can be."